This handy method of showing content to your users is ideal for a lot of things. 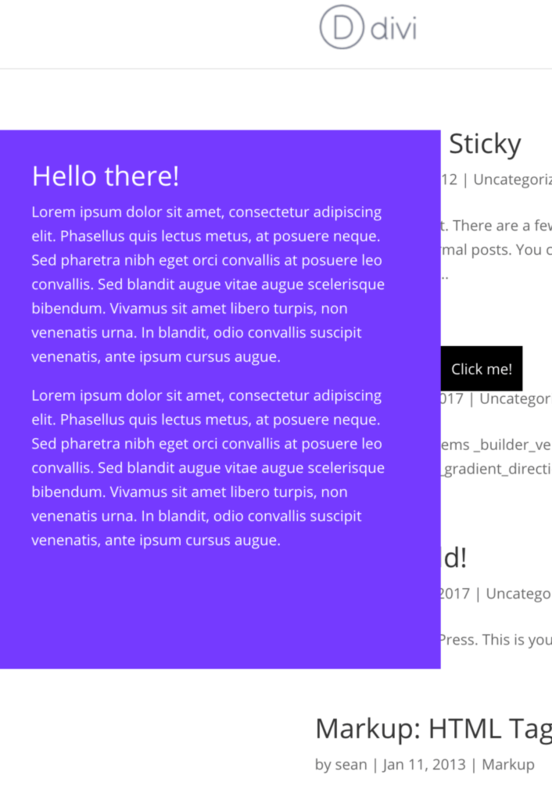 Using this plugin you can create what I call Slide Ins, highly configurable trays which can be triggered to reveal from ANY SIDE of the screen (top, bottom, left, right). The size of the tray (slide in) can be configured as can the trigger itself. 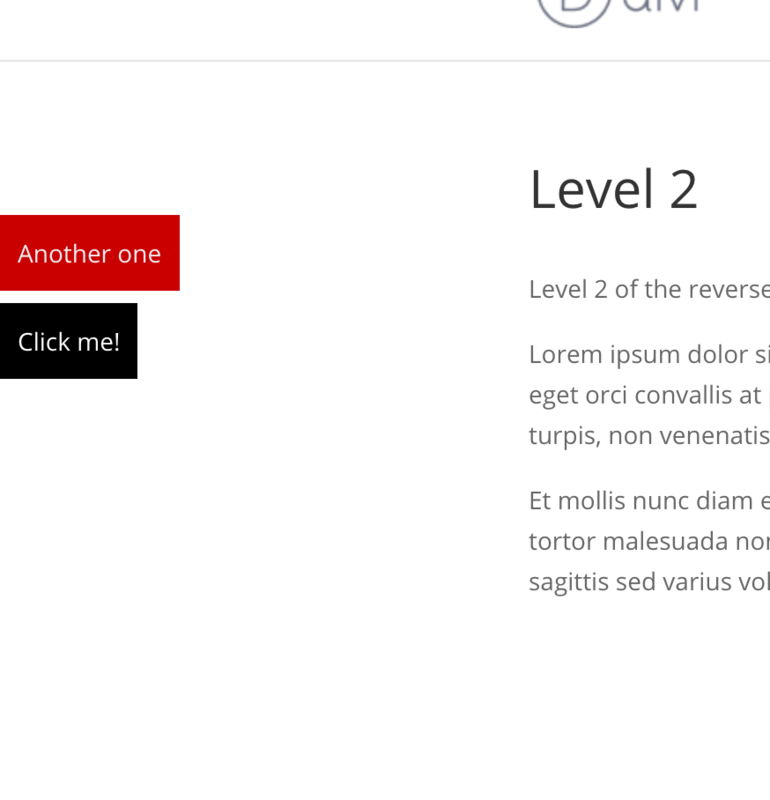 You can use the Divi Builder to make your tray content or just type directly into the WordPress WYSIWYG. The slide ins can be configured to show using a variety of types of logic (post type selection. homepage, global, archives etc..).You can have an unlimited number of slide ins active at any given point and they can prove very useful indeed. Handy looking plugin. I need to display the slide in based on user level once they are logged in. Managers and admins will see different slide ins on different pages. Would be great to use icon instead of text on the tabs to keep them nice and small. When using multiple slide-ins it would be great to position with more precession. Example slide in one at 30% and slide in two 30% + 20px so the relationship stays the same. Can I display different slide ins in projects? I want to have unique slide in per project ? First, I just want to say I love the concept of this plugin, as well as the functionality. 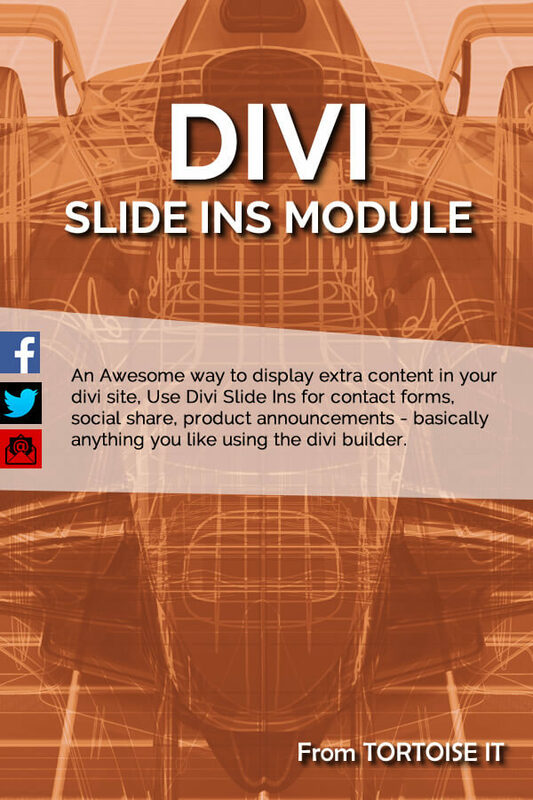 I just have a problem when setting the color of the tab on Divi Slide Ins. Are we limited to the colors displayed on the hexadecimal chart? If not, how do I go about setting it differently? I tried putting in the correct hexa code for the color I wanted. It would show up on the settings section, but not on the actual tab on the page. If we are limited to those colors, is there a workaround, or any hope of that changing? Thanks. 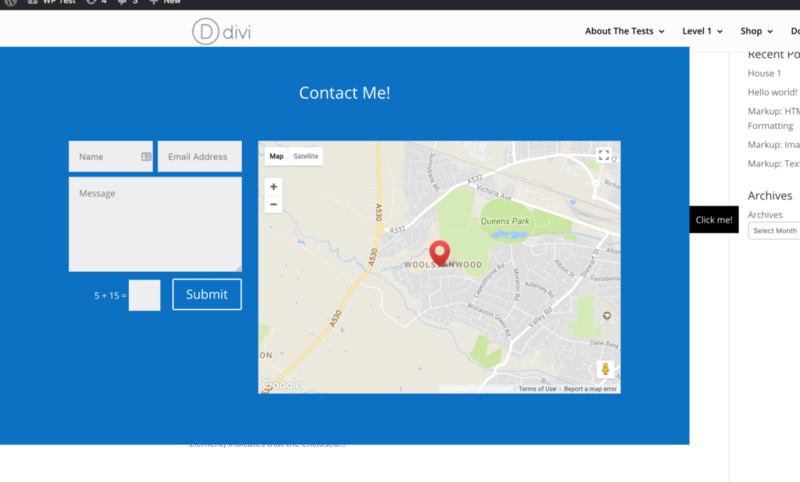 Is there a way to trigger with a divi button module? tried copying the class from the built in button and im still having trouble. Hi. Looks really nice. How about responsiveness? It´s possible to trigger the slide ins with an button and a anchor link (without the buttons on the right / left / top / bottom) ? Awesome news Sean, thank you for the feedback. 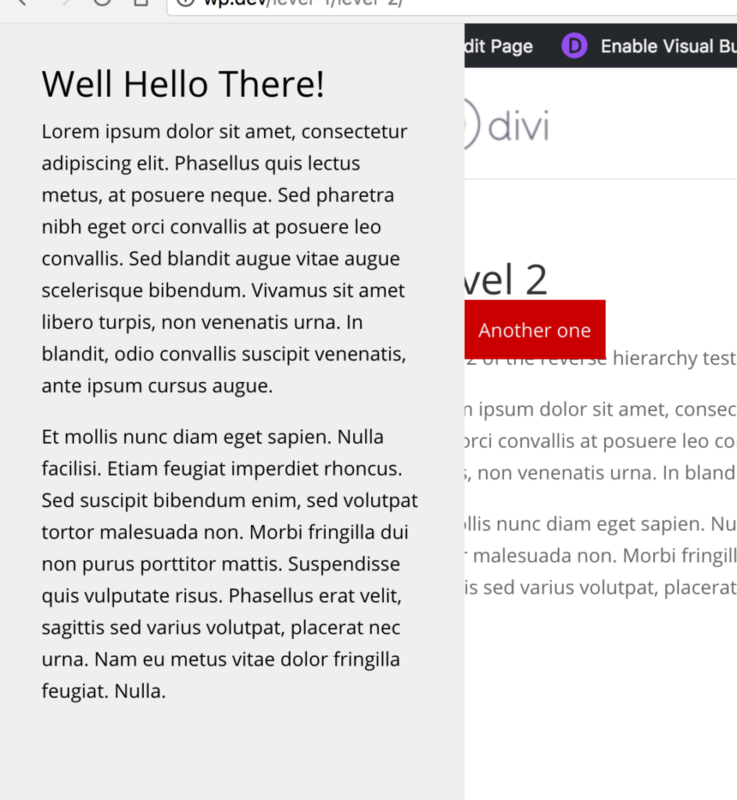 Awesome job, but will it work only with divi or with any theme? I wonder if I could use it with Astra theme, maybe with the divi builder! You may install this product on any number of websites that you build for yourself or your clients. You will receive 6 months support and lifetime updates, after which you may have to purchase a support contract in 6 month packages.